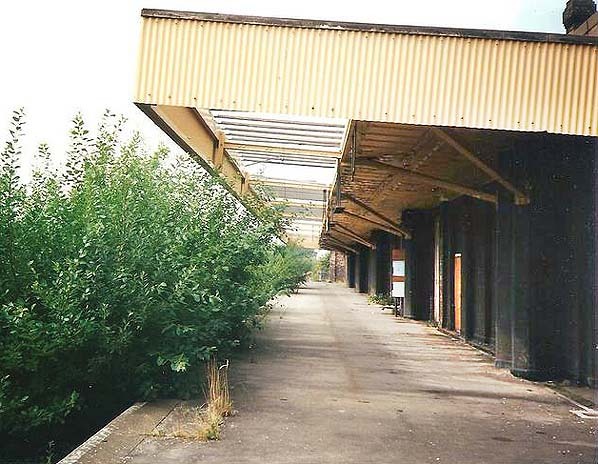 Present state: The platforms have been demolished but the main station building has been incorporated into a new shopping complex. 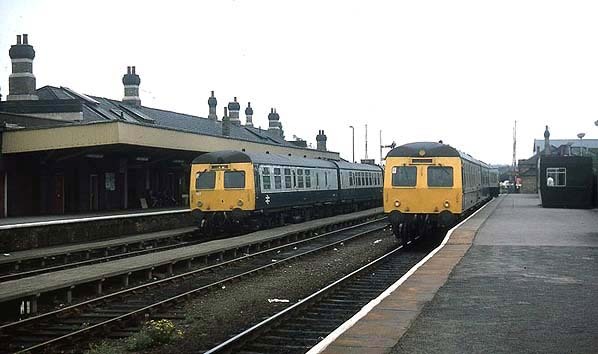 One of the original stations signs has been mounted on a mock signal box built nearby. Ox Junction was also crossed by a road, leading to many delays. 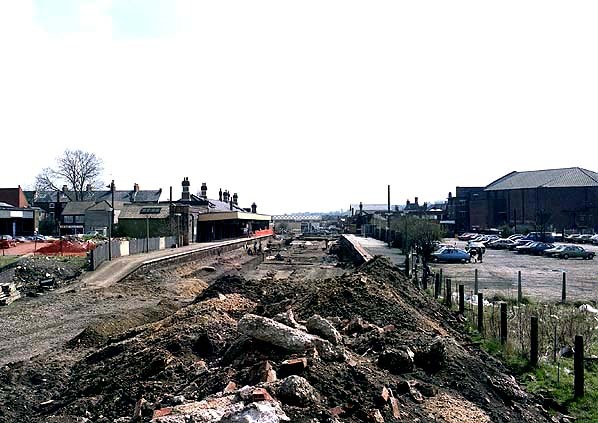 The junction was crossed by Pelham Bridge in the mid 1950s. 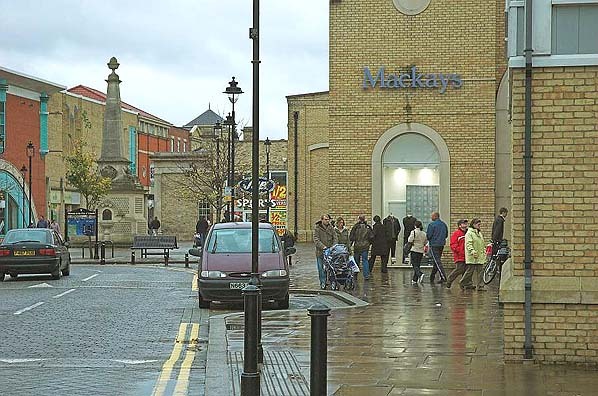 The grand ionic portico that was once the entrance has been preserved and is home to Lakeland Limited as part of the commercial development of the site. A mock signal box has also been erected in the car park on which has been affixed an original sign from the station.The remainder of the former station site is now St. Marks Shopping Centre. 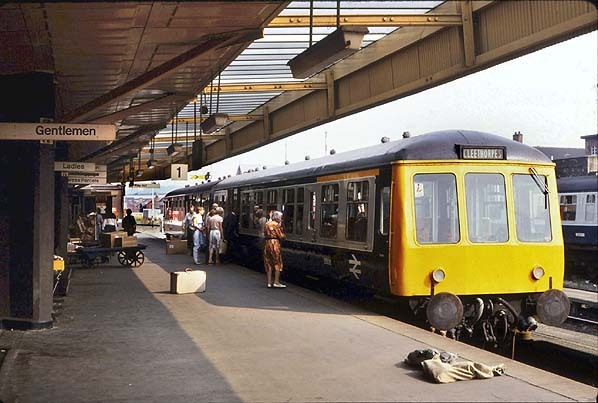 A Cleepthorpes DMU waits at Lincoln St. Mark's Station in August 1981. 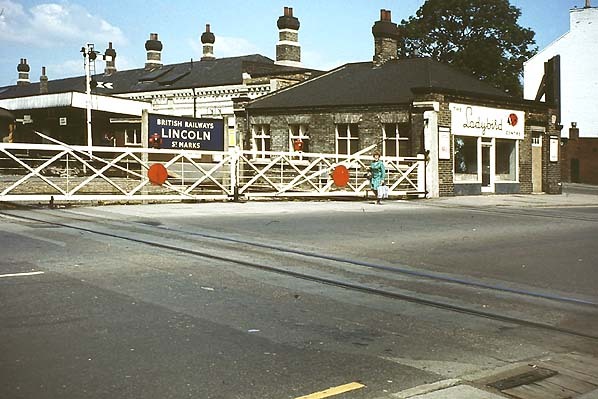 Lincoln St. Marks Station c.1970s.